home Lifestyle Are JoJo Fletcher And Longtime Fiance Jordan Rodgers Finally Getting Married? JoJo Fletcher and her fiance Jordon Rodgers most likely to be getting married soon. 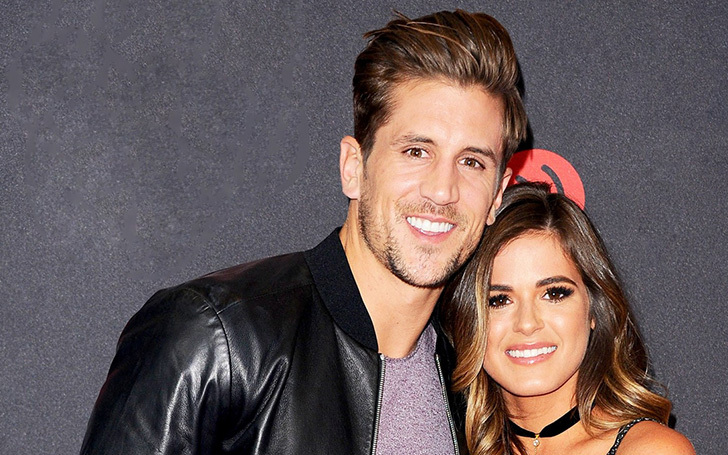 Okay, Bachelor Nation, our favorite couple JoJo Fletcher and Jordan Rodgers, one of the longest running couple have been engaged for so long, for nearly three years in fact, but the two is still yet to tie the knot. We're sure the fans of the famous Bachelorette couple can't wait for the love bird to announce the happy news regarding their wedding date. But guys, we have some good news to share. Anyway, what the good news is that the Bachelorette star recently opened up in an interview on their planning to finally put the ring on it after three years of togetherness following their engagement on the ABC reality show. The Bachelorette couple Jordan Rodgers and JoJo Fletcher. It's come to our knowledge that the former footballer and his fiancee sat together during the time of New Years and sincerely talked about they both felt how it was time to share the date of their wedding with the fans. As a matter of fact, Jordan and JoJo had already in fact planned and were certain that 2019 was definitely the year the pair knew they were going to get married. However, the reality star revealed that to know the wedding date the fans would have to wait until his brother Luke Rodger's wedding which took place this past Sunday on 7th April. But, the great news is that the sports commentator somehow revealed their wedding would take place this spring according to their liking. Well, if you realize and notice we are exactly in time. OMG! So this proves that the wedding is actually right around the corner. Both JoJo and Jordan recently celebrated brother Luke's wedding the past weekend in Nashville. Jordan shared a beautiful picture alongside the new groom and his fiance Aimee Wathen on his Instagram sweetly writing: "Wedding Day for these two! Couldn’t be happier to add a sister to the family! @joelle_fletcher we are up next!" in the caption. Likewise, the 28 years old Bachelorette 12th season winner also shed some light upon their wedding planning. The Shop Fletch founder says that despite being engaged for so long, the two still don't feel pressure to tie the knot already. In her words, Fletcher said: "People are waiting on it, but what I have learned in life is that you can't do anything for other people,"
The reality star added: "We're very secure and happy in our situation... It's funny because we talk about life like we're already married. It's so weird. I forget that there's that major step that's there, something that, obviously, I can't wait for." Nevertheless, as clear as it sounds that she is excited for the arrival of her big day, she said: "I can't wait for my wedding day when it is that day."